We navigate our whole lives using words. If we change and improve the words we use, we can change and improve our lives and the lives of others. Remember to taste your words before you spit them out. 1. 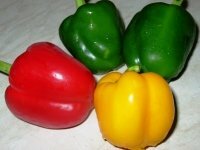 Any of various tropical American pepper plants of the genus Capsicum, especially any of the numerous cultivated forms of thespecies C. annuum and C. frutescens. sarcasm; plural noun: sarcasms the use of irony to mock or convey contempt. "his voice, hardened by sarcasm, could not hide his resentment"synonyms:derision, mockery, ridicule, scorn, sneering, scoffing; More irony; cynicism "well, it's easy to see that she got her biting sarcasm from her mother"Origin mid 16th century: from French sarcasme, or via late Latin from late Greek sarkasmos, from Greek sarkazein ‘tear flesh,’ in late Greek ‘gnash the teeth, speak bitterly’ (from sarx, sark- ‘flesh’). com·pas·sion kəmˈpaSHən/nounnoun: compassion; plural noun: compassions sympathetic pity and concern for the sufferings or misfortunes of others. "the victims should be treated with compassion"synonyms:pity, sympathy, empathy, fellow feeling, care, concern, solicitude, sensitivity, warmth, love, tenderness, mercy, leniency, tolerance, kindness, humanity, charity "have you no compassion for a fellow human being?" help verb \ˈhelp; Southern often ˈhep also ˈheəp\: to do something that makes it easier for someone to do a job, to deal with a problem, etc. : to aid or assist someone. facade [fə säd′] noun The definition of a facade is the front of a building facing a public space or an artificial front or appearance by someone. An example of facade is the front of the local mall. An example of facade is the putting on of a smile when really feeling quite upset. appearance [-əns] noun Appearance is defined as the way that someone, or something, looks. An example of a disheveled appearance is a person whose clothes are sloppy and who is said to have a disheveled look about him. scruple [skro̵̅o̅′pəl] noun Scruple is a feeling of doubt or hesitation based on moral grounds, or a very small amount of something. When you believe it is immoral to lie and you hesitate before lying because of this belief, this is an example of a time when you have scruples about lying.When you only have a tiny piece of cake, this is an example of a portion which is a scruple. deceit [dē sēt′, di-] noun Deceit is defined as the act of being dishonest using a trick or telling a lie. An example of deceit is someone lying on a dating web site. pulchritudinous [puhl-kri-tood-n-uh s, -tyood-] /ˌpʌl krɪˈtud n əs, -ˈtyud-/ Spell Syllables adjective 1. physically beautiful; comely. self-actualization [self-ak-choo-uh-luh-zey-shuh n, self-ak-] /ˈsɛlfˌæk tʃu ə ləˈzeɪ ʃən, ˌsɛlf æk-/ Spell Syllables noun, Psychology 1. the achievement of one's full potential through creativity, independence, spontaneity, and a grasp of the real world. 2. the process of establishing oneself as a whole person, able to develop one's abilities and to understand oneself. tol·er·anceˈtäl(ə)rəns/nounnoun: tolerance, the ability or willingness to tolerate something, in particular the existence of opinions or behavior that one does not necessarily agree with; a fair, objective, and permissive attitude toward those whose opinions, practices, race, religion, nationality, etc., differ from one's own; freedom from bigotry. Examples: "the tolerance of corruption, chaos and confusion." ox·y·mo·ron noun \ˌäk-sē-ˈmȯr-n\: a combination of words that have opposite or very different meaning. Examples: Serious joke; deafening silence; sweet sorrow; dark light; low-key wedding; wisest fool.